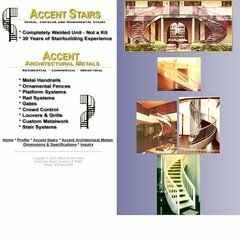 Topics: Accent Stairs, Accent Architectural Metals, Dimensions & Specifications, Inquiry, Adpg, and Llc. Age: It went live on July 8th 1999, making it over 18 years, 9 months old. Allen S Tv Cable Service Inc.
Allen S Tv Cable Service Inc. Louisiana is the location of the Apache/2 server. Its IP Number is 209.240.55.98. ns01.atvci.net, and ns02.atvci.net are its DNS Nameservers. PING www. (209.240.55.98) 56(84) bytes of data.